I have visited Kerala in the past and have also written about it in many of my blog posts on Munnar, Alleppey, Cochin and others. But recently I visited Kerala again, a different part of this beautiful state - Varkala and Kollam. 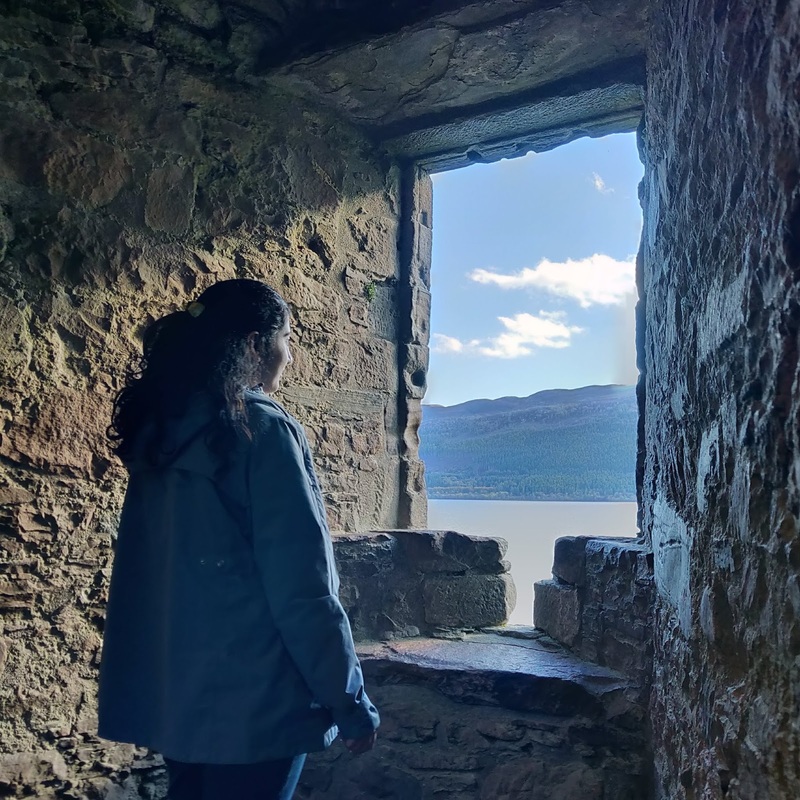 I was a bit apprehensive initially, thinking how different could it be, will I experience the same stuff as in the past or will it give me a new dimension. 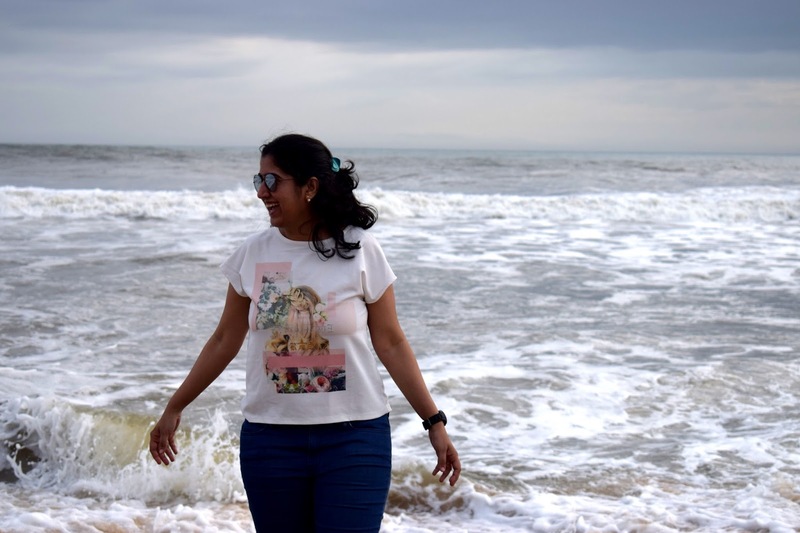 I think it was just magical and I am glad that I visited these parts of Kerala - if you are someone looking for virgin beaches, peaceful breeze and not-so-touristy destinations, then Varkala is the place for you. Not sure if it was due to off-season or otherwise, there were no tourists, no crowded places and just pure nature. How to Go - For my Trip, I had combined Kollam and Varkala, so we took a train from Bangalore to Kollam (QLN) station. Stayed at a nice resort in Kollam and from there took a day-long taxi for Varkala. 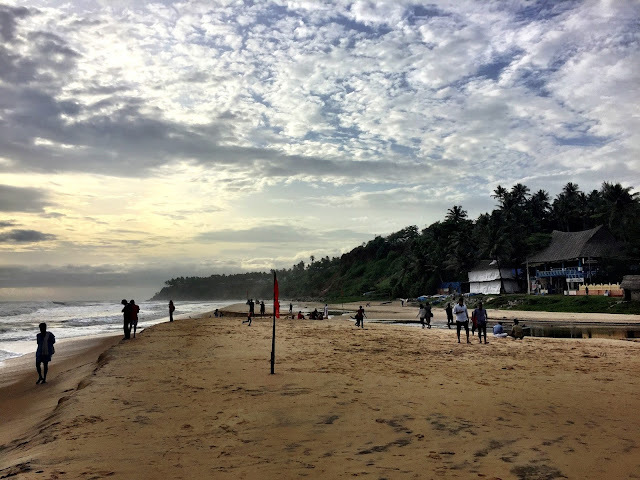 By Train - There are very few trains to Varkala Train station - From Bangalore, you can take the Kanyakumari express - Travel time is around 15 hours. This train stops on every station and moves very slowly. When to Go - I went there during June, which is typically the rainy season. But Kerala was beautiful!! the beaches and lakes were full of water, the breeze was cool, the sun was shining bright and evenings made sense to have filter coffee. 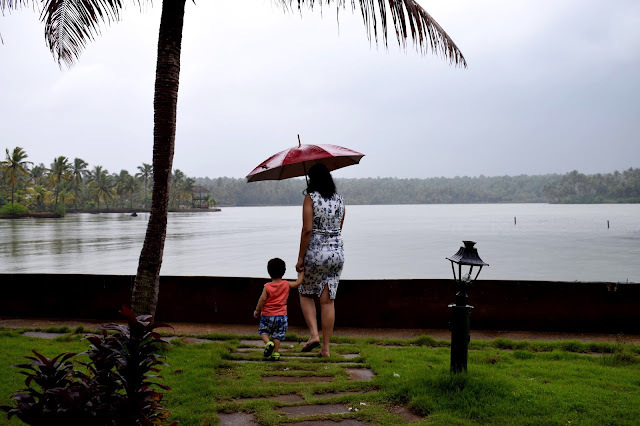 Yes, it rained in evenings, but sitting by your cottage, overlooking the Paravoor lake, and sipping filter coffee made monsoon a very enjoyable season. 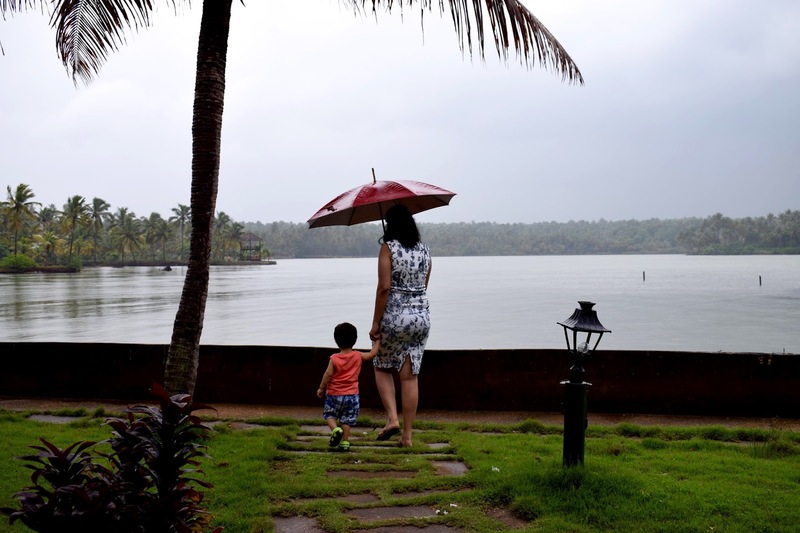 This is also the season when Kerala is less crowded and resorts are available at lower rates. 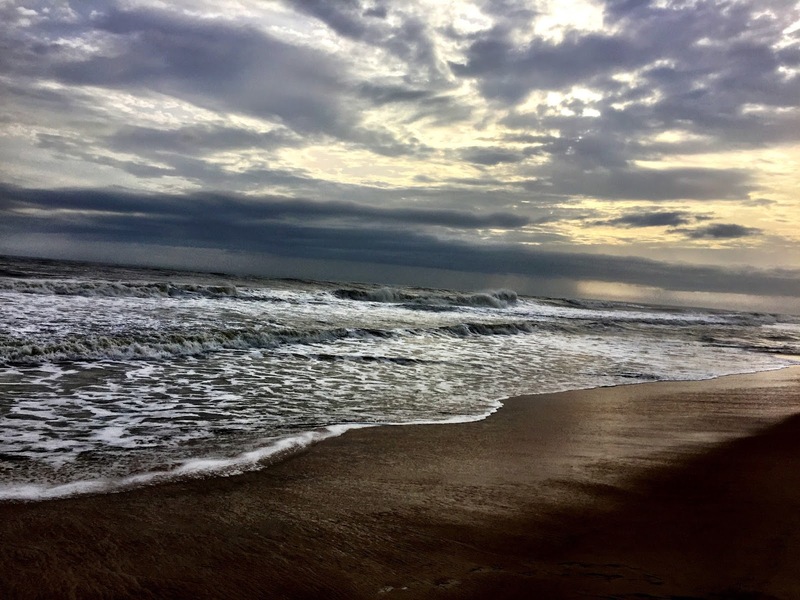 Where to Stay - For my trip to Kerala, I stayed at Aquaserrene Resorts in Kollam district. Amazing property, but it lies in a corner on a Island, surrounded by Paravoor lake on 3 sides. This is away from the city and is suitable for those who want to have a relaxed holiday in an isolated cottage. Sightseeing - We arranged for a full day cab to take us for Varkala sightseeing, this was around 1 hour drive from my resort, and the Cab charged around 2000 for a Morning to evening trip. Varkala Beach - This is rated as the top 10 Beaches to visit in India. Indeed, its beautiful and bare. The long stretch of sand along with Palm trees and a hill on one side. The tide prediction was high, so we noticed there were many Life-savers who were not allowing people to go too close inside the waves. There are many shacks nearby which really gives you a feel of Goa without being overcrowded (except the Hippis and beer). We went to a shack just opposite and enjoyed coffee. Beer is typically not available so easily in the state, but they do supply it in secret if you tell the waiters. 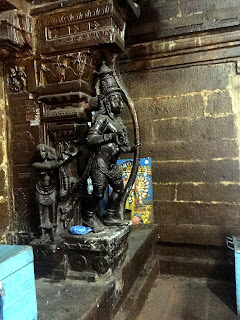 Janardhana Swamy Temple - This is a 2000 year old temple and it feels that you have traveled back in time the moment you enter here. The blissful ambiance and the aura of this place just takes you in, even if you are a atheist. The architecture is made of stones, and the idols are archaic. Apparently Male's entering the shrine are supposed to remove their shirts or tops before entering. There is another interesting thing I noticed at this place. 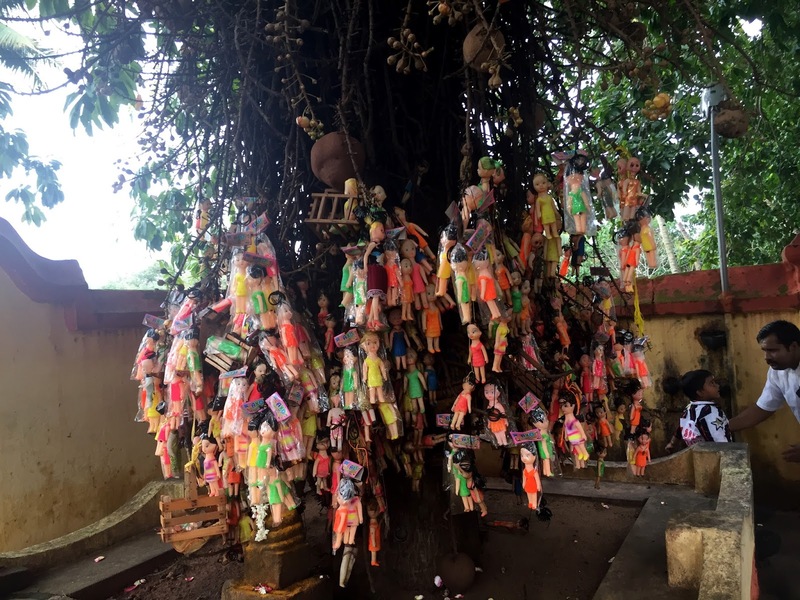 There was a Shiva tree adorned with hundreds of dolls. There is a belief that people who need children, can ask Lord for its blessings by putting a doll on the tree. And those who got blessed with a child also put a doll thanking the God for its blessings. There is a legend associated with this ancient temple. Once upon a time, Lord Bhamha came to earth to perform at Yagna. He was so busy with with Yagna that he forgot his job of creation. Lord Vishnu came in the form of an Old Man. The villagers fed him with food but his hunger was never to be satisfied, so they called Lord Bhamha. He recognized the Old man was none other than Lord Vishnu and told him to stop, as if he goes on eating the entire world will end. That's when Lord Vishnu told Bramha to stop the Yagna and focus on his main role as creator of the world. 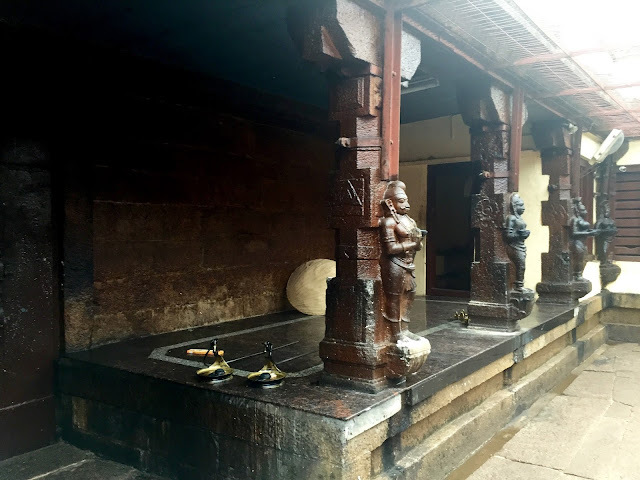 This is the temple of Lord Janardhana Swamy (Lord Vishnu) whose right hand is raised towards his mouth (eating position). People say that this hand is rising bit by bit every year, and there will come a day when his hand is able to touch his mouth. This is the day there will a huge flood and the world will end. 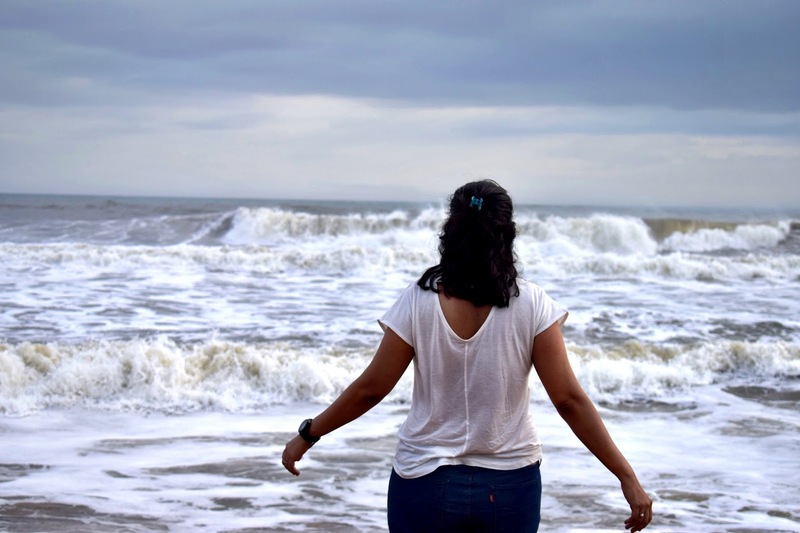 Awesome experience being in Varkala. I will cover Kollam in a separate blog post. Thanks Manu.. Glad that you liked the post!! Would love to be here and spend an evening, may be. Was it crowded? Nice captures. Cheers. Thanks Shanx.. No it was not crowded at all!! Oh.. Wow. Great information here. Nice pic. Very interesting post. Thanks for this.